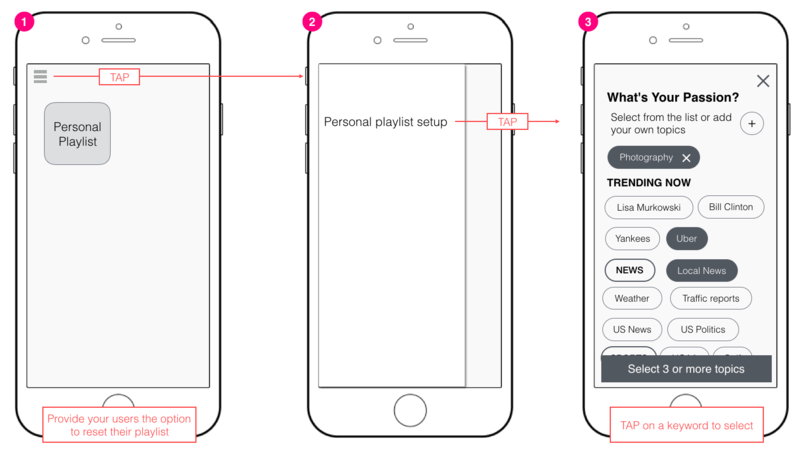 This document provides instructions on how to get and manage user’s personalized playlists. POST Register User - Use this API to create a UserID for each of your users, POST this ID to Audioburst. GET User Preferences - Use the personalized API to get the listening identity preferences. 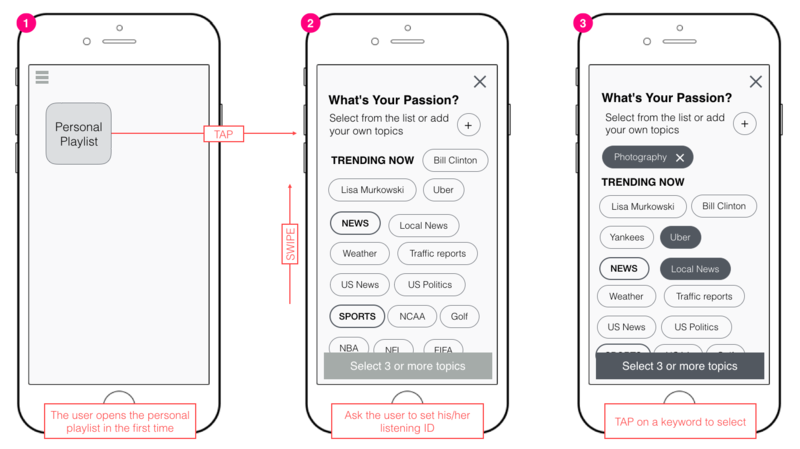 Display the preferences on your application’s user interface to allow your users the ability to set their preferred news categories and topics. Audioburst listening identities are built from trending news topics, as well as other themed categories and subcategories, such as sports and entertainment. POST Set User Preferences - After the user has selected their desired topics from the UI, post the user’s preferences to Audioburst. Preferences will be set for the user’s listening identity and will be kept until you POST new preferences. GET Personalized Playlist API - Each time the user asks for the personalized playlist, use the GET personalized playlist API following the UserID. Display Audioburst personalized configurations - Provide your users with the option to configure their listening identity on a usable user interface. This interface could be accessible from your app side menu, a personalized screen or any other location that will be accessible to the user. To display your user's configurations above the complete list of Audioburst topics, use the GET Personalized Playlist API call along with the GET User Preferences API call. On the UI mark, the user selected categories and topics will be previewed above the Audioburst topics. If the user made any changes to their listening identity, use the POST Set User Preferences API with the UserID to send the new configuration to Audioburst. 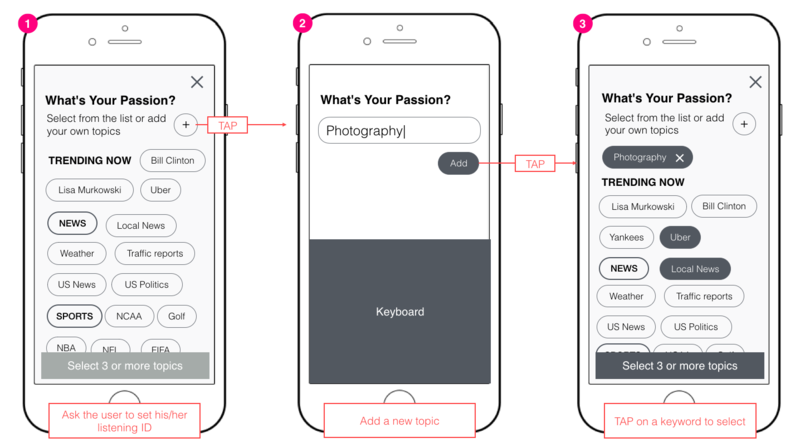 The user can tap selected topics to unselect, or delete their customized topics by tapping the ‘x’ next to its listing.